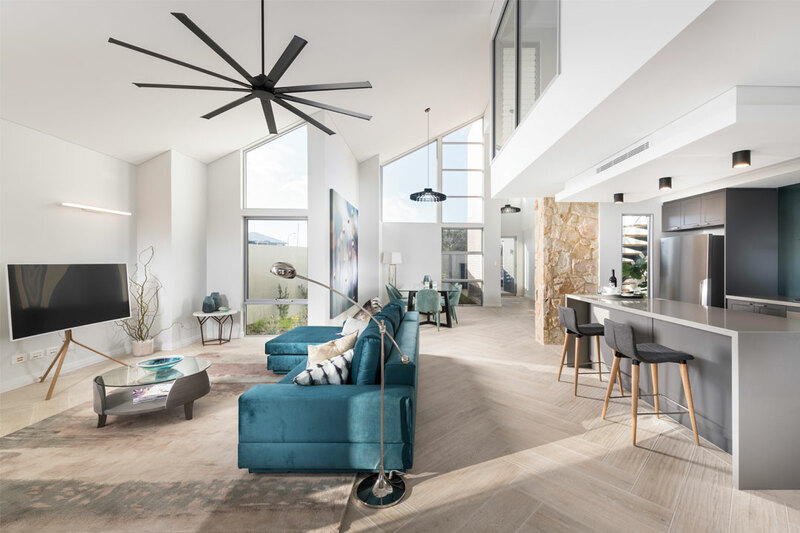 Situated on the picturesque canals of Busselton’s Newport Geographe Estate, the 2017 Regional Telethon Home was beautifully furnished by Hatch Home + Style. 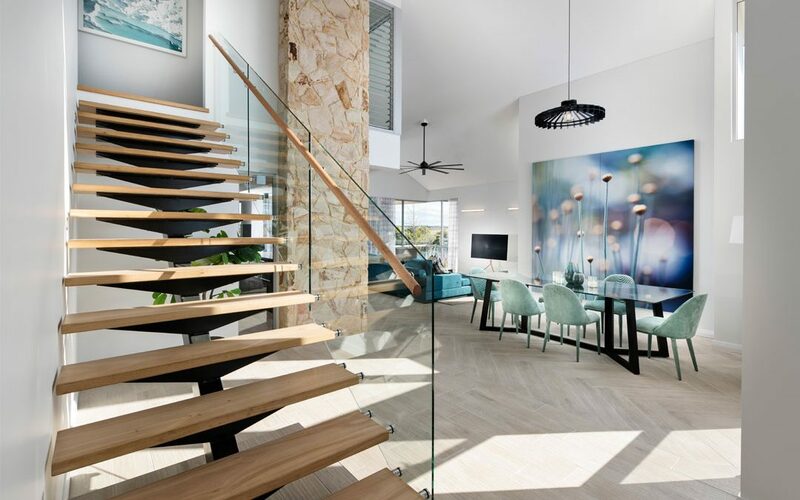 The spacious double-storey four-bedroom home showcases endless water views and includes a large, light-filled open-plan living area. 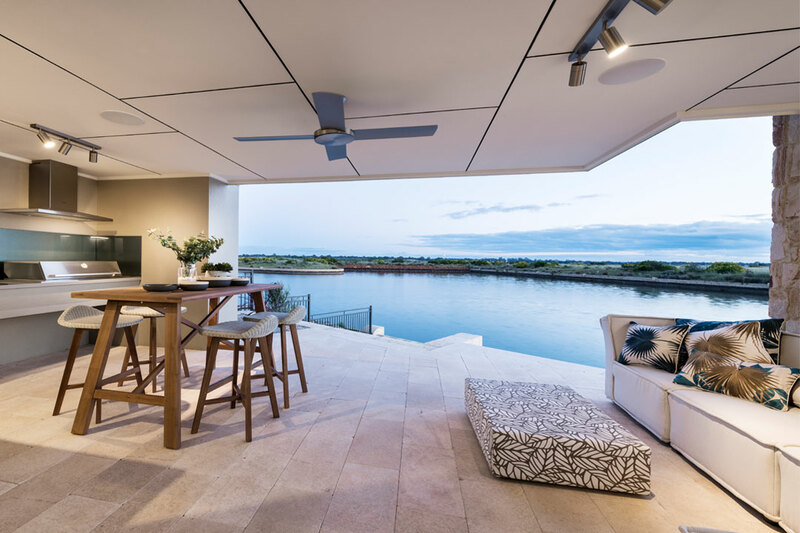 Working closely with the builders’ interior designer, Hatch Home + Style developed a harmonious colour palette to complement the serene canal-side location. With a strong focus on Australian-made products, Hatch Home + Style tailored the furniture and homewares to suit the individual style and needs of the home. Independent themes and colour schemes were used in the bedrooms and relaxed living areas to create distinct yet unified family zones. Bedheads, sofas, occasional chairs and outdoor furniture were customised in a range of dynamic fabrics to complement the surrounding landscape and invite the outdoors inside. The thoughtfully selected artwork was also personalised to complement the peaceful nature the residence radiates. Green tones were used throughout the living areas to capture the calm and relaxed feel of the aquatic surrounds. The refreshing alfresco area incorporates wooden furniture and botanical fabrics to further highlight the striking natural setting. 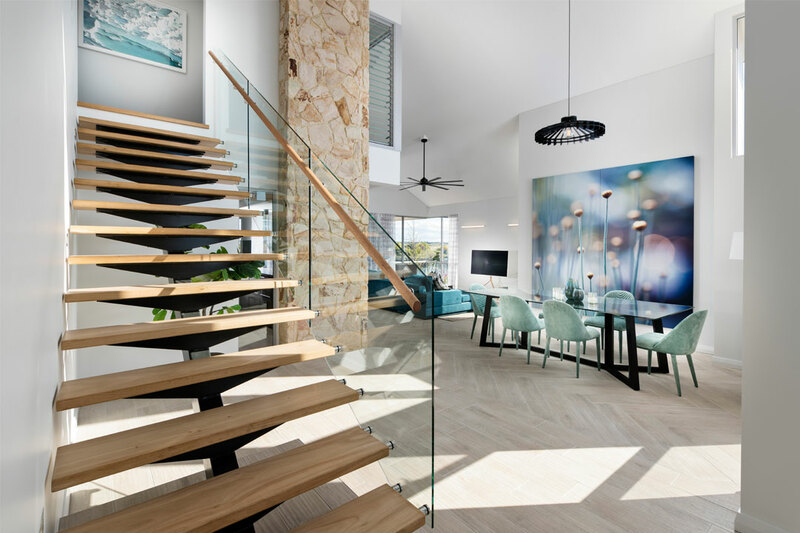 Located in Busselton, Hatch Home + Style is a locally-owned furniture and homewares store that also assists with all facets of spatial planning and interior design. Its services extend to both commercial and residential projects, with a strong focus on combining functionality with aesthetics. 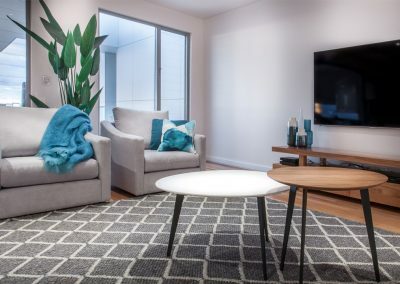 Offering an extensive range of lounge, dining and occasional furniture, as well as rugs, artwork and homewares, Hatch Home + Style is a resource for South-West residents who are looking to bring a splash of distinction to their living space. The company champions the work of local and national designers, and also offers stylish products from around the world.